At ninety-seven, my mom continues to teach me life lessons every day. She is not a worrier; she is a doer. At an early age, Mom learned from her father that “idle hands are the devil’s delight.” So, whether she adopted that philosophy or not, she certainly latched onto the activity idea. And she has done everything joyfully. Growing up on the farm, I remember Daddy saying numerous times, “Mom, come sit down with me.” To which she would reply, “In a minute, I need to finish dishes… (or strawberry hulling or laundry or whatever took her attention at the time).” And all the time she hummed an old hymn or some other song of her youth. Mom worked hard as a child taking care of their garden and small farm with her sister and brother. As an adult, she continued in the same way. She planted wheat and corn in the fields with Daddy and also planted and cared for an orchard and garden of fruit and vegetables. If neighbors came to visit, which seemed to happen every day, they either had to pitch in and help her with the weeding or canning or berry picking, or sit and talk while Mom continued her work. But her busyness never sent visitors away. She was happy to have friends stop in and talk while she worked. It wasn’t that she was rude, but she had work that had to be done. And nine times out of ten, her friends happily joined her to get the job done. I am sure Mom never started out to build a rich legacy. 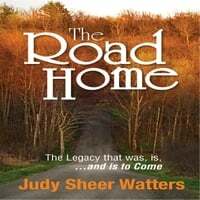 But in her consistency of living life to the fullest and seeing all things in a positive light, she ended up with volumes to leave to her children, grandchildren, and generations to follow. I want to leave a legacy for my children, much like that of my mom’s. One of working joyfully as I build relationships with others. Today I sing as I work, much like Mom did. I forget the words at times, but that doesn’t matter. I want my children to remember that I sang. Hopefully, I am passing Mom’s legacy on to my children. Who is your inspiration? Who gives you strength? Is there someone who has taught you life lessons by watching them live life? What legacy are you actively building today? Let’s take this a bit further . . . What do your children REALLY know about you? Have you told them your stories of struggle as a teenager? Do they know how you worked through adversity in your younger days? Unless you write your words down, your children, grandchildren, great grandchildren and those to come will not know the real you. They won’t have your stories to encourage them that they too can continue when problems hit. Journey through my website and let me help you bring your stories to life. I offer classes, personal coaching, and memoir writing prompts to help you remember stories to tell. Let me help you begin your adventure to bring your stories to life for your generations to come.